Board of Director of Tianmu Education Foundation completed the general election on February 21, 2018 , new board is now consist of 7 members. Vivian Shao is not the CEO of new board. Board members include Patric, Qingxia, Chen Xin, Geraldine, Sky and Vivian Lee. If you want to support the youth basketball training, please consider to donate to the club. Mentored by Prof. Eleny Lonel, chair of Department of Mathematics at Stanford University and Dr. Wieczorek, also from Department of Mathematics, Stanford University, technically supported by Palo Alto High School Robotic Club, Tianmu youth robotic club has launched and has been enrolled in this year's FTC competition. They will gain experience in order to prepare for the participation of other interested students. Participating students raise their own funds to fund the operation of the club. Tianmu Education won the first place of youth swim competition in 2017 Chinese America Olympics of Northern California. Tianmu Education youth swim team worn the first place in group score. Congratulations to the team and all the volunteers! Jerry Huang: He not only created a volunteer data base for his high school but created ITrakr, an app for it. 400 students use it, and have logged in 27,000 hours. Equally important, Congressional Award for the Application (very prestigious) and a list of references, among other things! Tianmu youth business boost camp finished 4 sessions during the summer 2016. Over 100 young students attended the training sessions. Tianmu Education Foundation team made excellent achievement in 2016 Chinese America Olympics of Northern California. We have weekly free online education seminars. All these seminars are given by experience parents or area professionals and students themselves. All seminars has been made as education videos. These videos are free to watch on Youtube. Please click the link below to find all the free education videos. Tianmu Education Foundation joins Shandong Association and the Shinshin Educational Foundation to organize The annual San Francisco Asian Youth Talent Competition. Tianmu is in charge of Student Committee. Are you organized? Innovative? Outgoing? Bold? We want you on our team! The annual San Francisco Asian Youth Talent Competition, is opening applications again for the March 2016 Talent Show Student Committee. All Asian American Bay Area students interested in taking on an exclusive leadership role are encouraged to apply. The student committee will work alongside sponsors to plan, organize and publicize the talent show-- all while developing communicative and executive skills. Members of the committee will be given the chance to work alongside high-profiling managers and businesspeople in the Bay Area network; furthermore, all students will be offered scholarships to a highly selective and prestigious summer camp, courtesy of Chinese federal sponsors. Join us in our mission to launch and host one of the biggest Bay Area talent shows of the year! Proceeds from the talent show go towards opening schools in China — in the past 34 years alone, 340 schools have been built. That’s 120,000 more underprivileged children who can receive an education. Over $10 million has been raised through the annual Youth Talent Competition, all of which has gone towards giving the gift of education to China, and none of which would have been possible without the support and participation of Bay Area Asian American families and students. Support today to change tomorrow — apply as a student committee member now at sfyouthtalent.org or contact support@sfyouthtalent.org for more information. Tianmu Education Foundation is promoting creative youth development programs. These programs are online program so can be available for kids everywhere. Creative programs are setting high expectations for young people, encouraging positive risk taking, promoting leadership development, and offering real-world opportunities to contribute to social change. These programs link individual growth with the emergence of social responsibility. As young people create, they build the personal, social, and intellectual capacities they need to succeed in school, career, and life. 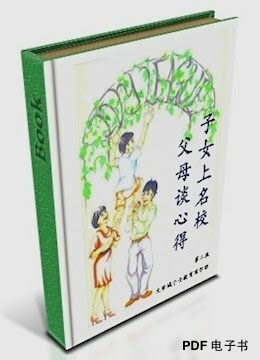 Tianmu Education Foundation helped Overseas China Education Foundation(OCEF) to raise fund by E-book group sale. Just within 8 hours after the announcement, over 150 parents ordered the book to show their support to this charity sale. OCEF operations in China are comprised of three main functions: (1) review of financial aid applications from students; (2) upon approval from the Executive Committee in the U.S. for funding, distribution of the approved funding; (3) follow-up inspections post distribution of funding. Inspectors conduct field trip regularly to visit beneficiaries and schools to monitor the fund distribution process. Tianmu Education badminton team won the first place title in National Day Cup badminton team competition. The event was held in Milpitas, CA and sponsored by several local community organizations, individuals and some business groups, especially the many badminton circle of friends. 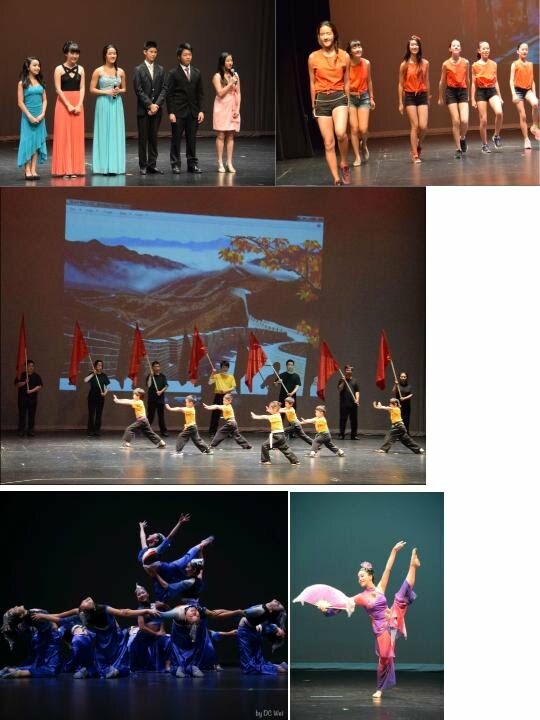 The youth dance team of Tianmu Education performed "Little Apple" in the "China Night" show. This event was held in Chabot College, Hayward, CA. This event was organized by more than 30 Bay Area Chinese community groups and is a very popular show in the area. The first Silicon Valley Spotlight Show organized by Tianmu Education Foundation was successfully held in Mission City Center for Performing Arts, Santa Clara, CA. High school students from Tianmu youth clubs directly involved in the organization of this event. The show program schedule can be described as originality , diversity and artistic. Just dance program will cover the Chinese dance , ballet , modern dance and hip-hop group dance and other styles . As a nonprofit public benefit organization, Tianmu Education Foundation is committed to enhancing the quality of education in Chinese communities in north America. We are committed to create free educational platform to facilitate the exchange of information for parents and children. We also organize a variety of activities to promote and create a good educational environment. In order to provide children with a high quality to show their talent on the stage, the volunteers have made ​​great efforts and hard work , they are the real unsung heroes . Special guests came to the scene of the Cupertino City Deputy Mayor Barry Chang, famous overseas Chinese leaders Ms. He Konghua. Tianmu Education Foundation won over 100 medals in the thirteen annual Chinese American Olympics of Northern California. Yong athletes from Tianmu attend the volleyball, track and field and swimming competition. Alvin (16-year-old boy's group): gold in 60 meters，silver in 100 meters，silver in 200meters. Forrest (11-12 year boy's group): gold in shot put. Linyun (adult women): gold in shot put, bronze in long jump. Erika-Nancy-katelyn-Chloe (girls 13-15 year old group): gold 4x100 relay, new record. Andrew (boys 12 year old group): silver in 400 meters. Himanshu (boy 9 year old group): gold in 400 meters. Denali (girls 7 year old group): silver in 400 meters, silver in long jump. Charles (boy's 10 year old group): bronze in 60 meters. 6. Alyssa Chen: 3 gold; 1 silver. My first ever class for business started on June 20, organized by the Tianmu Education Foundation, which was also their first time organizing such a class. At times, it was a little boring, but I felt that it was a great experience overall and I really enjoyed the opportunity to hang out with my friends while also learning about business. The way the course was structured helped keep it interesting and fun. On the first day of camp, we introduced ourselves and were told about the leadership positions in a business, and who you should look for to help run your business more efficiently. There was a small break in the middle of the class, so I got to talk with people and get more familiar with them. At the end of the class, we chose our business teams and were assigned the first project - designing a product. The next day, we got to present our research. Standing up in front of the class as a team and presenting our idea as a whole felt great. It seemed to me that everyone asked us the hardest questions, even though we had done the most research and presented the most reasonable idea. We tackled all those questions as a team, and that made me feel much better about our team and our product. The next few sessions were very similar - we would go home to do some research and present it in class, while learning a bit about the next topic in the latter half of class. At the end of the course, we presented our entire overall summary of our product, including the marketing research, our product’s specifics, and the business plan, to a huge audience of both parents, judges, and opposing teams. It was extremely fun to present our ideas, and we answered a few questions at the end of our presentation. I would definitely recommend this camp to anyone interested in business. Tianmu parents formed co-op group to run summer activity for their kids.